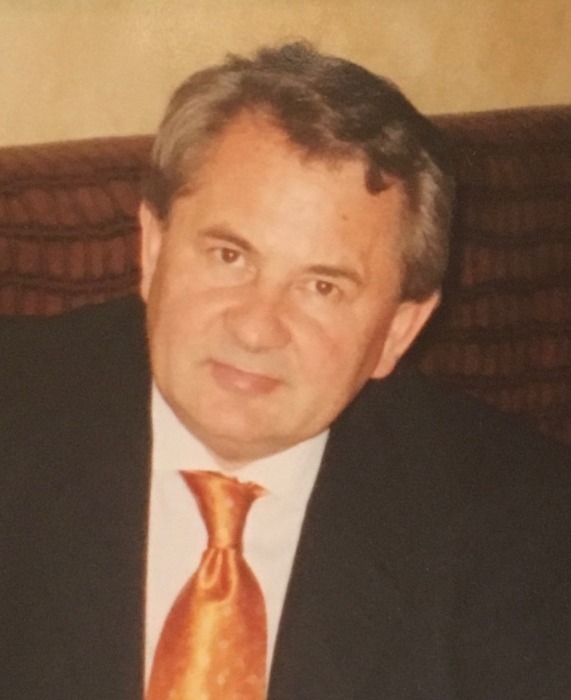 Lucian Coltea, age 69 of Hinsdale, passed away peacefully on November 16, 2018. The 2nd of 4 children, he was born in Valcau de Jos, Romania on September 21, 1949 to the late Gavrila and Victoria Coltea whom he loved and respected deeply, and who taught him from an early age to hope, dream, and believe that through his Love of God he would be able to create positive change in the world at a scale unimagined before him. The story of his life is the story of the American Dream at its most extreme, most profound, and most inspiring. Overcoming seemingly insurmountable odds, Lucian rose from the humblest beginnings to become a deeply loved and respected pillar and patriarch of his family, his community, his birth country, and his adopted country. More importantly, his story is also a story of Love. A testament to how Love of God, family, and community provides the seeds of a life well lived, beautifully lived on Earth and beyond. Known to many simply as “Lucian”, he was respected, larger than life, admired, dedicated, kind, generous, devoted and deeply loving. He wanted to leave the world better than he found it, and through Love he accomplished that and so much more. Lucian grew up in a small town in rural Romania, spending his days learning from his father who was the first Baptist leader in the community and taught him at early age about the Love of God, church, and work ethic. Lucian dreamed of taking those learnings and giving back to his community on a much larger scale, and he knew he could not do that simply by staying at home. And so, at the age of 14, his courageous journey began. He moved to Salaj, where he attended high school. Completing high school at that time and place was an accomplishment, but, for him, far from the goal. He then went to the “big city” and in Timisoara challenged himself, and completed his university education at the Timisoara Polytechnic University, receiving the equivalent of an undergraduate and Master degrees in Mechanical Engineering in under 5 years. The start of his potential soon became evident. He landed a job at one of the country’s largest companies, Electrobanat, the leading lighting manufacturer of its time. Not settling to be one of the “worker bees” he quickly rose in the ranks to be one of the youngest directors in the company’s history. Yet, at the same time his work ethic was evident and he carried a second job installing wood floors in the evenings. But Lucian had bigger dreams, and that was only possible by his ability to escape socialist Eastern Europe and make it to the U.S. He made his first attempt at an escape in 1977, where he was captured and imprisoned for several months and endured physical torture that left him so injured that he was bed-ridden. The judge was ready to sentence him to several years in prison, but when he recognized that Lucian was, in fact, the person who installed the wood floors in his home, he changed his mind, gave him a second chance, and sent him home. Not to be deterred, he made another attempt as soon as he was well enough to walk again. On his second attempt, he was successful, making it to Austria after walking for 30 days, and without food or shelter, on November 16, 1978, 40 years to the day of his passing. Finally, in 1979 he had made it to the US, and thus began the next chapter of his life. But while many knew Lucian for his accomplishments and work ethic, Lucian’s greatest joy and accomplishment were his family. At the core of this was his marriage of 37 years to his beloved wife Aurica “Pusha” Coltea, whom he referred to as his darling, his best friend, and biggest supporter. He often said that his success would not have been possible without the kind of love and friendship they shared. In addition to his marriage his other point of deepest pride were his children, Claudiu Coltea, Julian Coltea, and Roberta (Titus) Chira. He inspired and pushed his kids to take his dreams and work ethic even further. And he was never shy about his kids’ accomplishments, seeing Roberta become the first recipient of a doctorate in the family, Claudiu ascending to the “C-suite” of a Fortune 100 company, and Julian working at the world’s largest tech company. He is also survived by many others whom he loved and that carry his love and legacy forward: his beloved siblings Titus Coltea, Viorel (Stela) Coltea, and Jeta (Petrica) Vidu; His grandkids Roland and Edward Chira; Nieces and nephews Noemi Coltea, Gloria Coltea, Gabriel Coltea, and Adi Vidu; His friend, former spouse, and mother of Claudiu, Olimpia Warsaw (formerly Ungurean); His sisters’ in law Felicia, Violeta, and Virgina; His church communities in the US and Romania, and countless others who loved, admired, and thought of Lucian as family. But through all the hard work, the accomplishments, the pride, and the love of family, what defined Lucian most was his Love of God. While many in his community saw his meteoric success, he had many setbacks and extreme trials in life. But Lucian never wandered, never wavered, never lost hope, and always led with a smile and with God in his heart. In his brightest and darkest moments, he would speak to the power of God’s grace, and how we was so blessed that God gave him wisdom through both successes and trials so that he could continuously learn and grow in God’s love. Lucian was proud, but deeply humbled in God. His belief in Jesus Christ was the foundation for all he built on Earth, and the broad, loving legacy he leaves behind. We are all blessed to have been touched by him in life, and celebrate in his joy in reuniting with his parents and Jesus Christ, his savior. A visitation will be held on Wednesday, November 28, 2018, at the Romanian Baptist Church of Chicago, 484 E. Northwest Hwy, Des Plaines, IL 60016 from 6:30 PM until time of service at 7 PM. A funeral service will be held Thursday, November 29 at 10 AM at the Romanian Baptist Church of Chicago. Interment will be at Bronswood Cemetery.